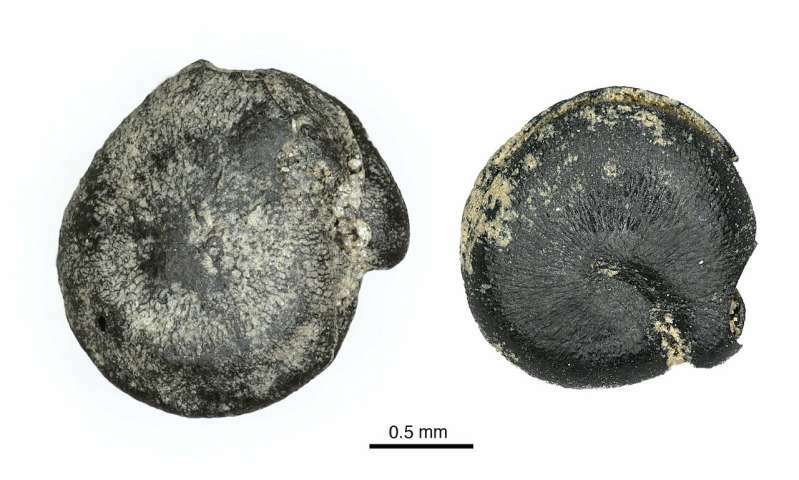 A mass of charred seeds found while clearing a home construction site in Brantford, Ontario, has been identified as ancient, domesticated goosefoot (C. berlandieri spp. jonesianum), a form of quinoa native to Eastern North America. 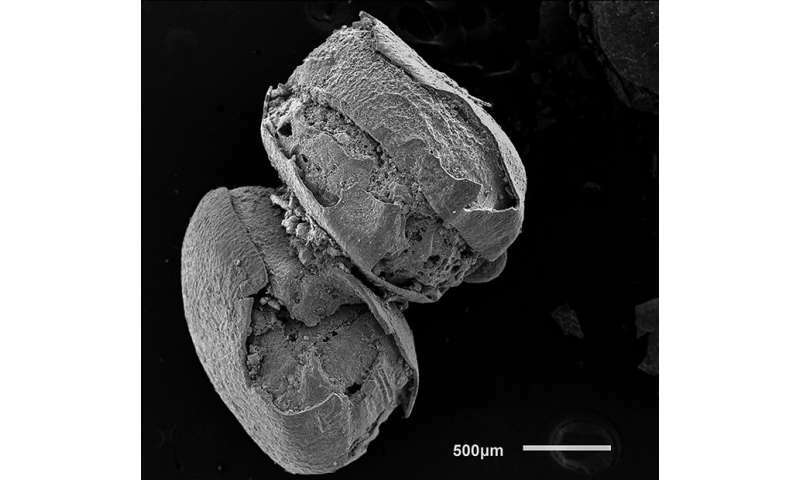 The seeds date back to 900 B.C., and have never previously been found north of Kentucky this early in history, says Professor Gary Crawford of the Department of Anthropology at the University of Toronto Mississauga (UTM), who was brought in by Archaeological Services Inc. (ASI), the archaeological consulting firm that excavated the site. Archaeological discoveries don't normally shock Crawford but this one comes close. "Finding domesticated seeds that are so old in Ontario is special," Crawford says. "The next time we find a crop in the province is about 500 A.D., and it's corn. All previous research on this species of quinoa, which is now extinct, has taken place in the central United States: Arkansas, Illinois and Kentucky." "This discovery raises more questions than it answers. We had to consider whether the seeds were only traded here or grown locally," says Ron Williamson, Ph.D., of ASI, another co-author. "We also had to consider whether this was the beginning of agriculture in the province. It appears not, because we don't see any evidence of local cultivation. If it were grown in the region, we would have expected to see seeds of the crop in other pits around the site, but they were confined to this specific pit. We also don't see any sign of agricultural weeds or stone tools that may have been used for cultivation. Professor Crawford notes "We always wondered if they were also exchanging perishable materials. We're taking the conservative view that these seeds were traded; it would make sense that it wasn't only stone and minerals being moved around. In Kentucky, Illinois and Arkansas, this was a very important foodstuff; its nutrient value was probably similar to that of modern quinoa, which comes from South America." "You can lightly parch seeds so they don't sprout and store them," Crawford says. "It could have been a mistake to have burned them. There was a slight oxidization of the surrounding sediment, so the soil was heated; we think they were burned in place in the pit." "All of these bits of data demonstrate that the Indigenous Canadians were knowledgeable, sophisticated and well-connected across Eastern North America," Crawford says.